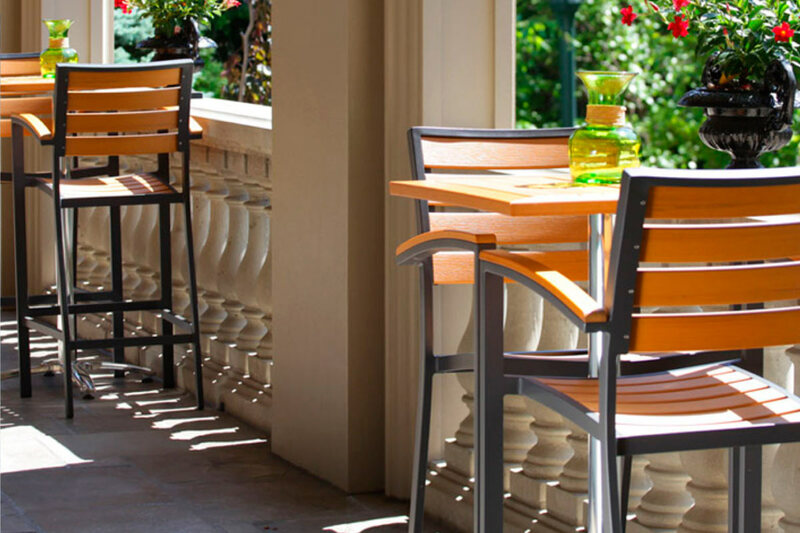 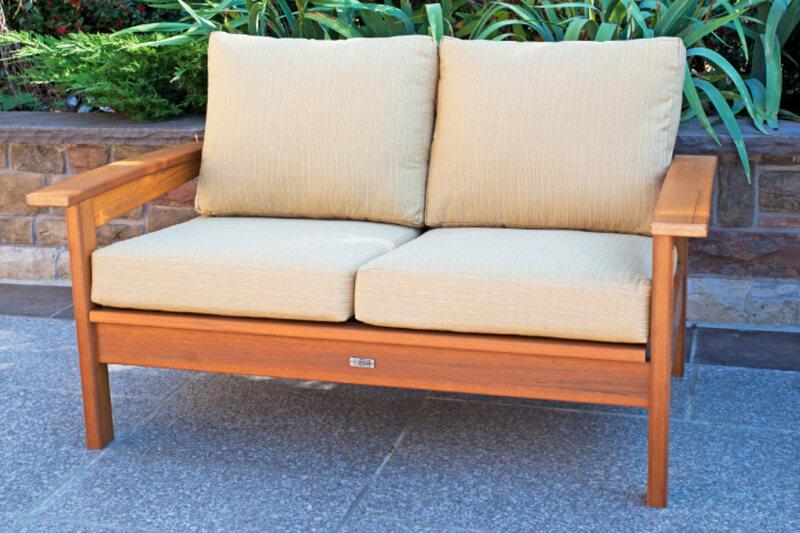 Aura™ outdoor furniture is carefully hand crafted; showcasing “natural” wood grain and complimented with high grade stainless steel hardware. 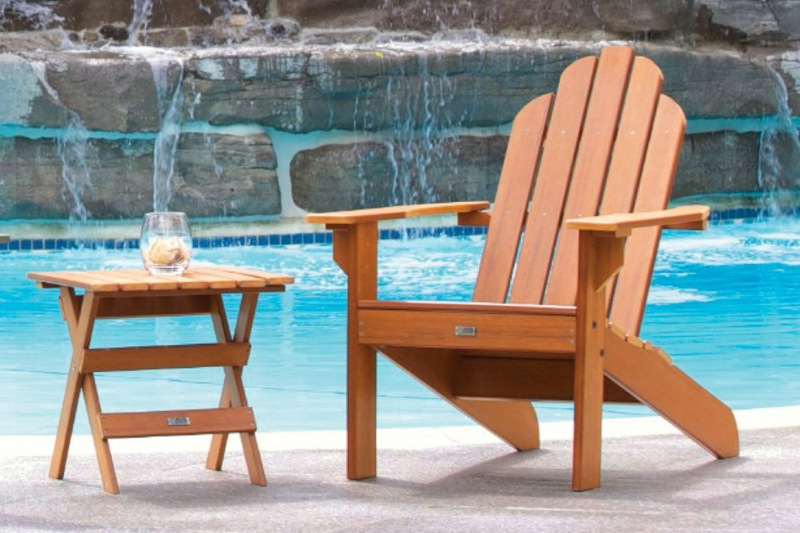 Designed and inspired by the beauty of real wood. 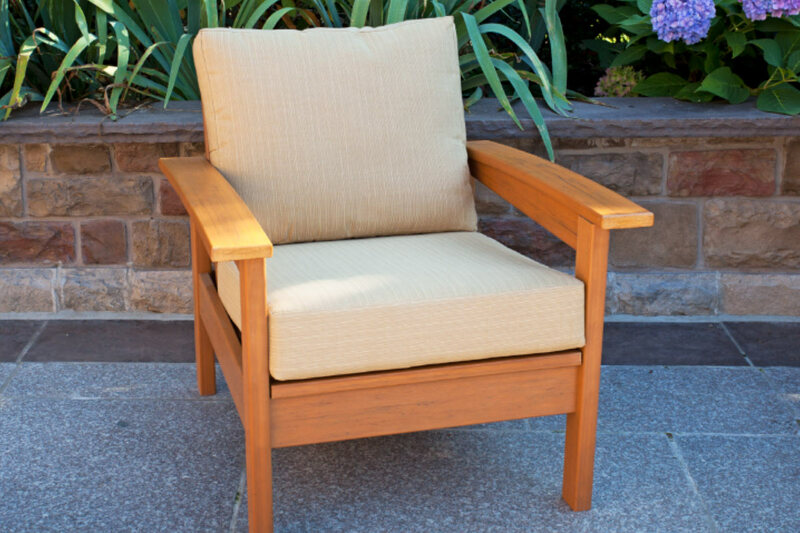 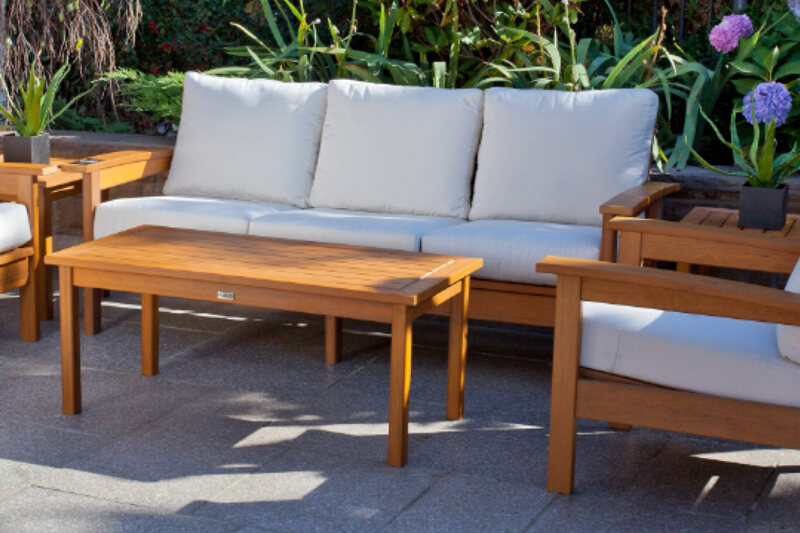 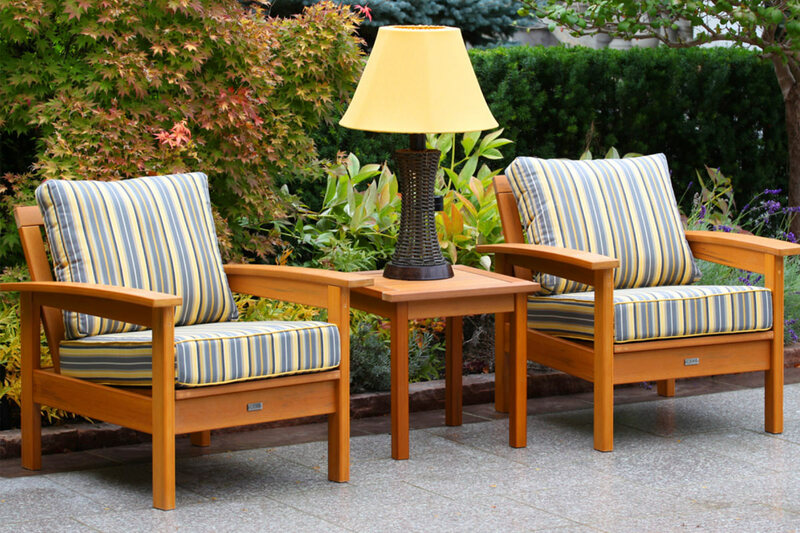 Aura™ furniture far outperforms real wood in colour and longevity and can be left outdoors all year-round. 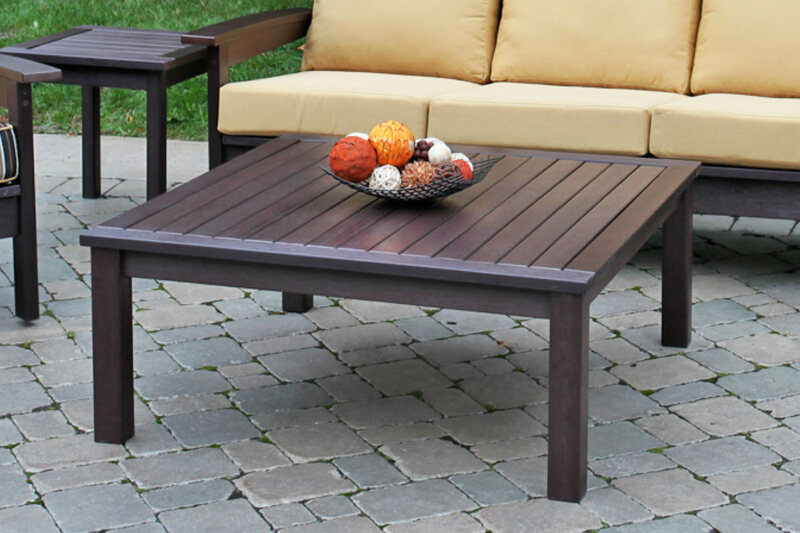 Enhanced look and protection from minor scratches. 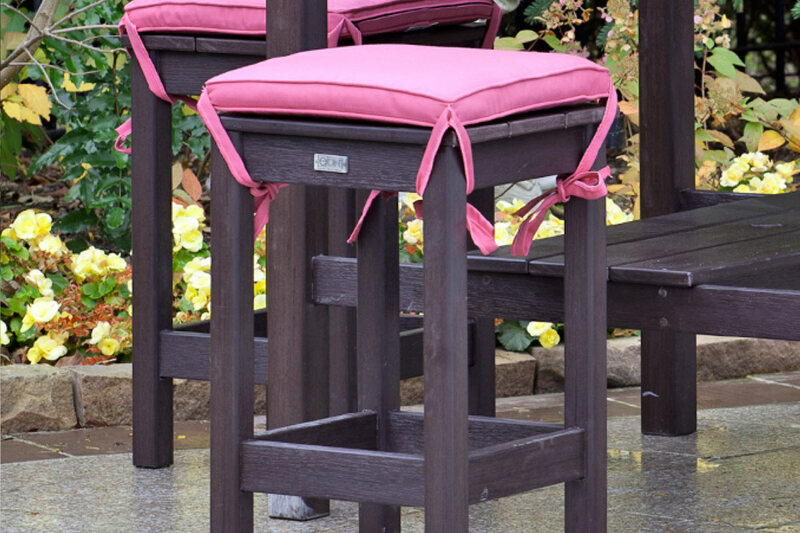 Will not absorb water, and resistant to mold, mildew and rot. 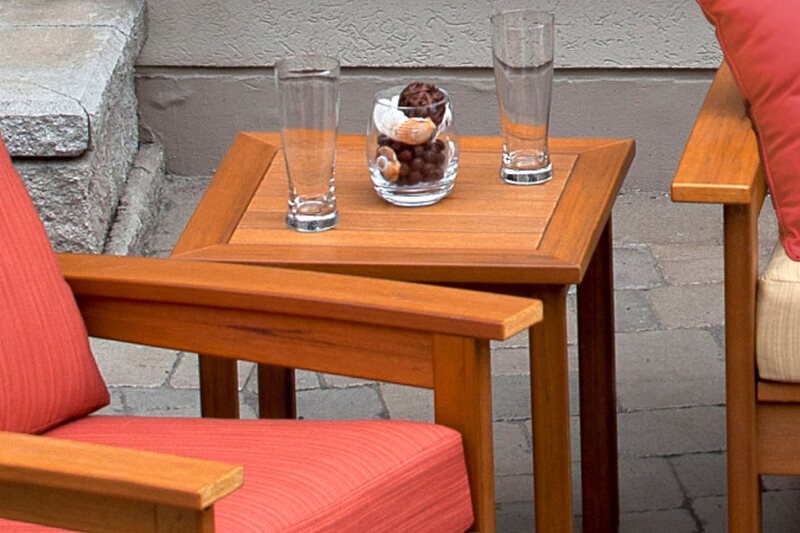 Will not split, warp, or crack. 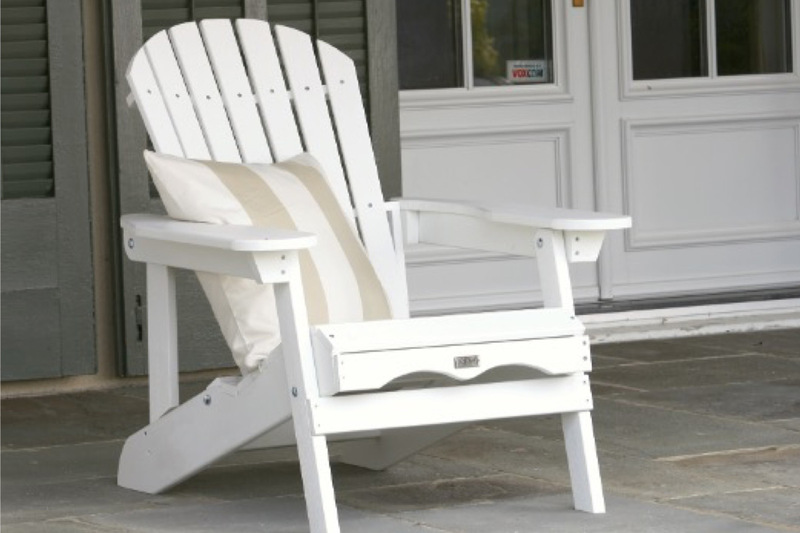 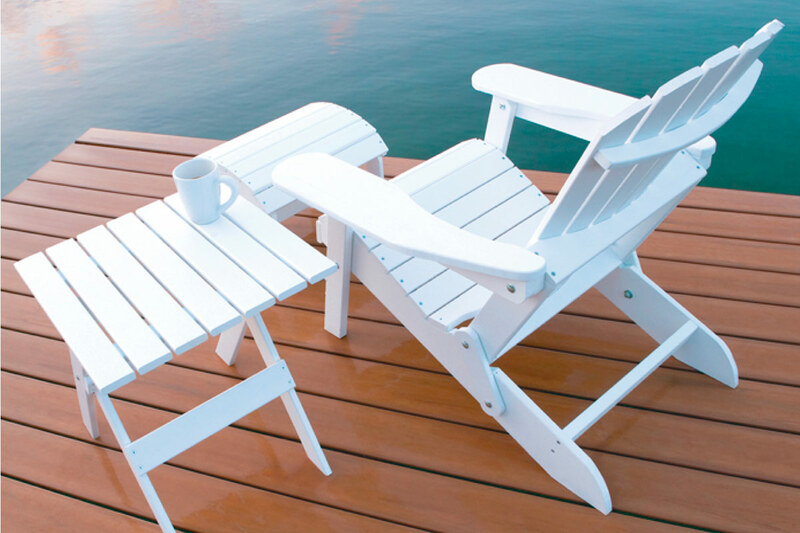 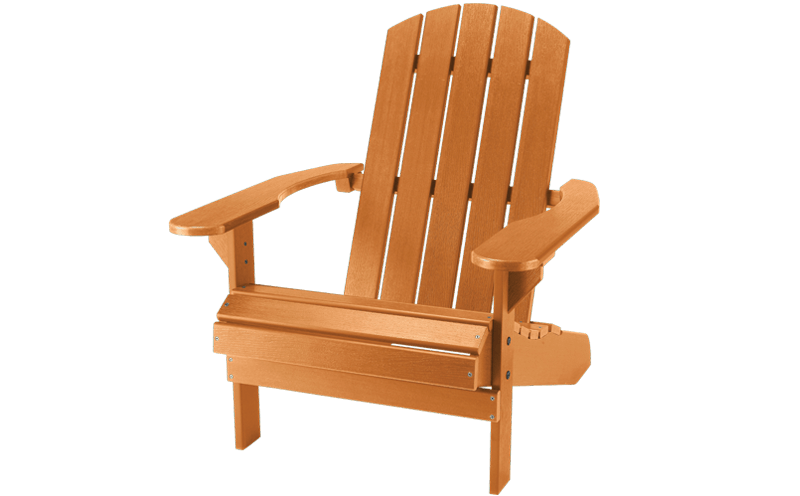 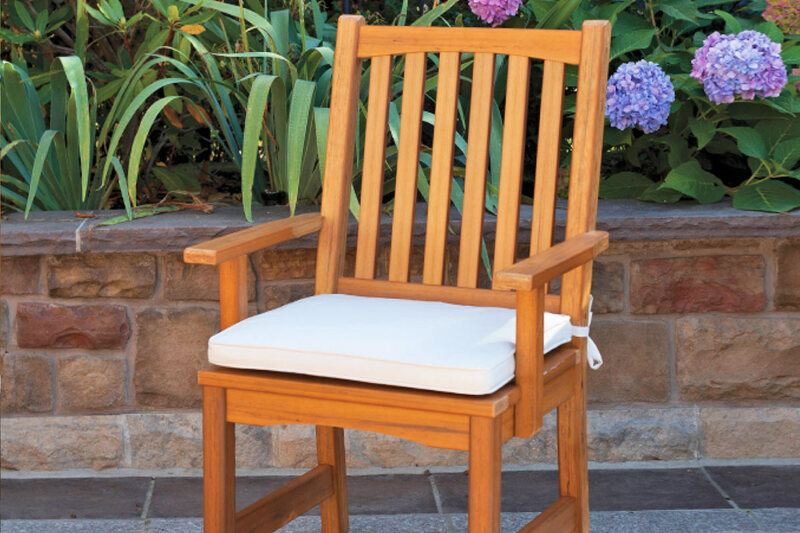 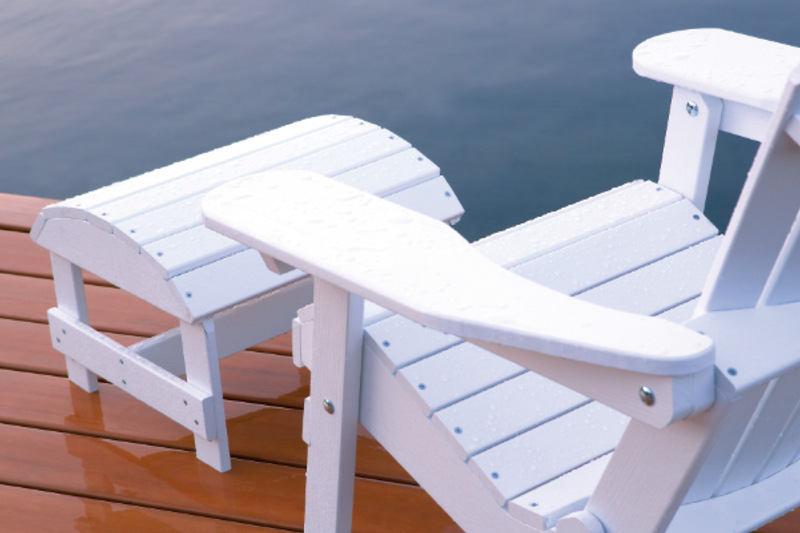 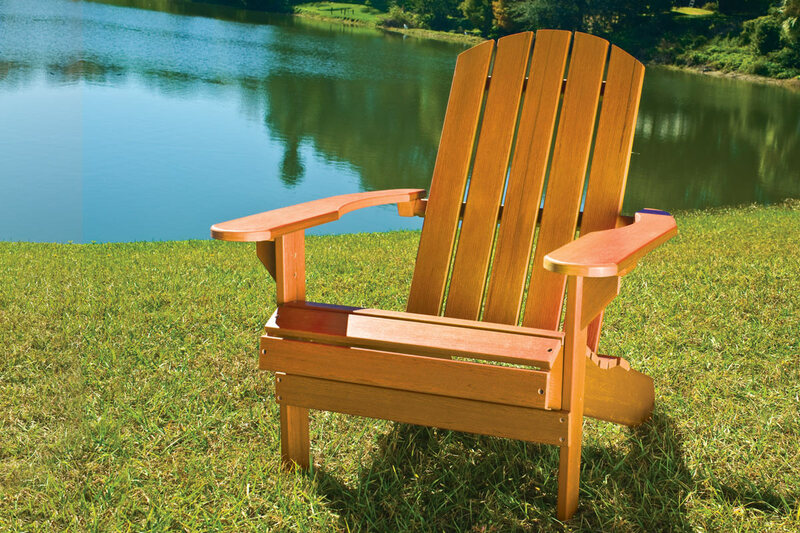 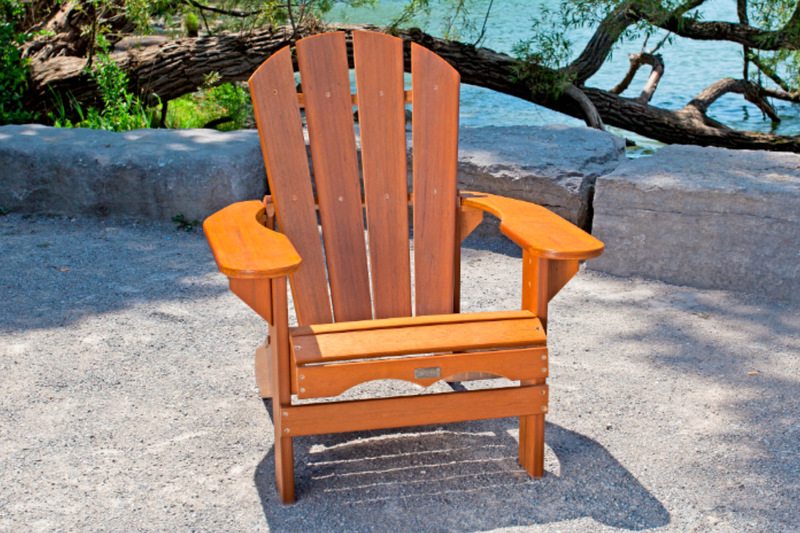 Adirondack Chairs have become a staple for every home, whether on the deck, dock, porch, or by the pool, lake or ocean. 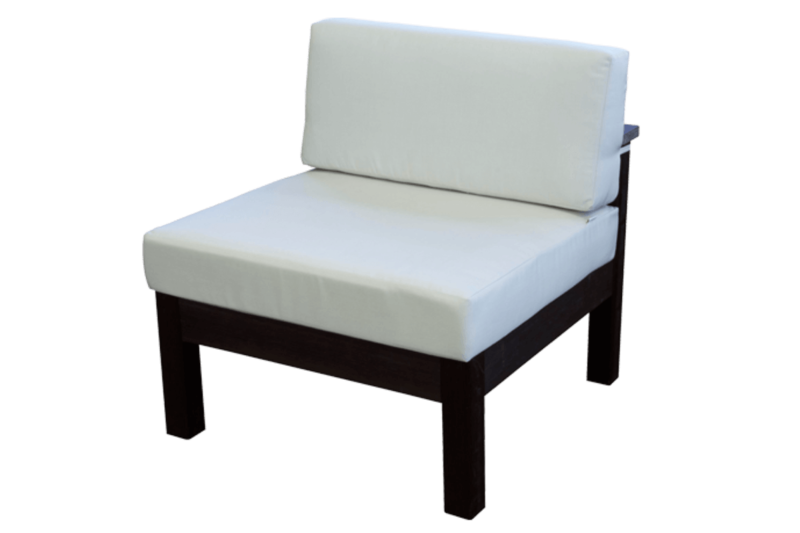 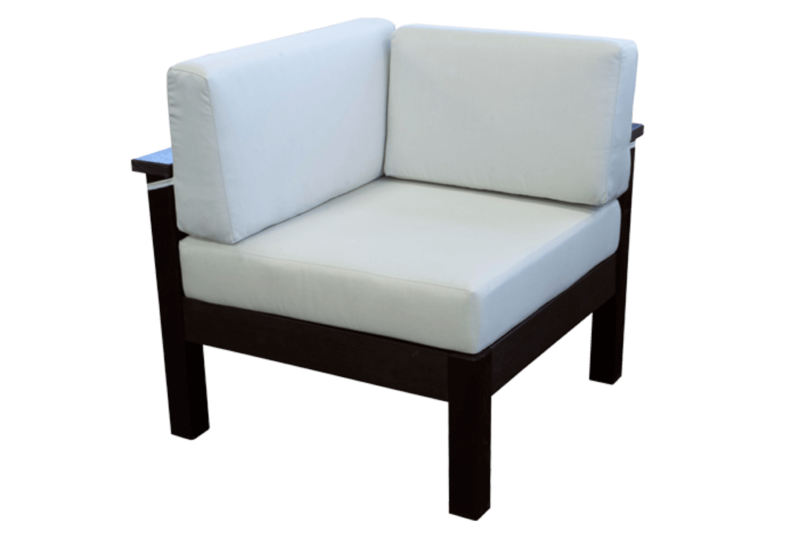 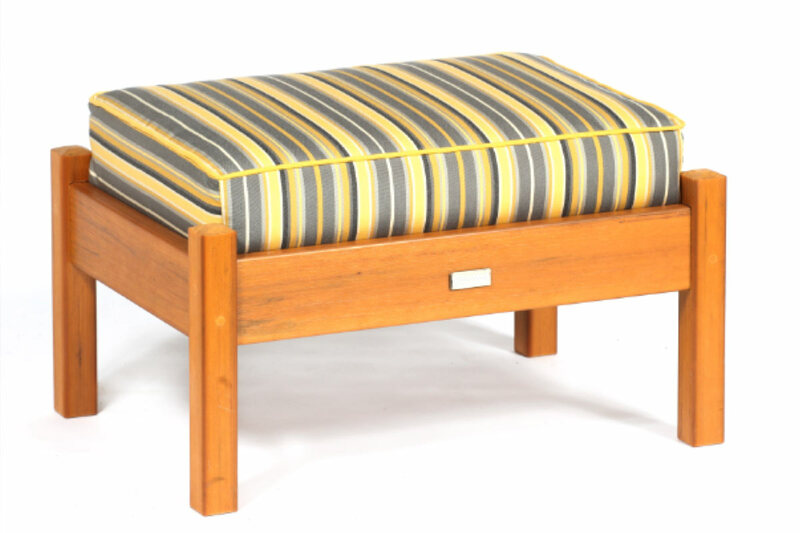 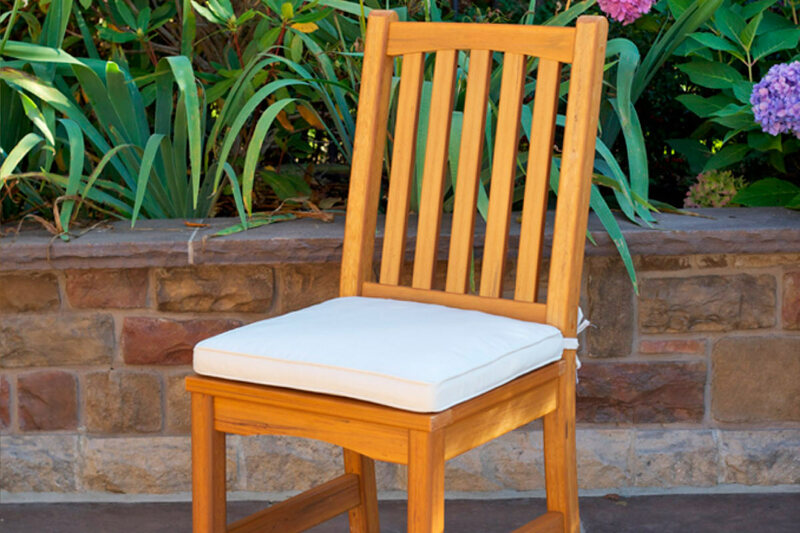 Solid, sturdy frames are complimented with 5″ thick cushions. 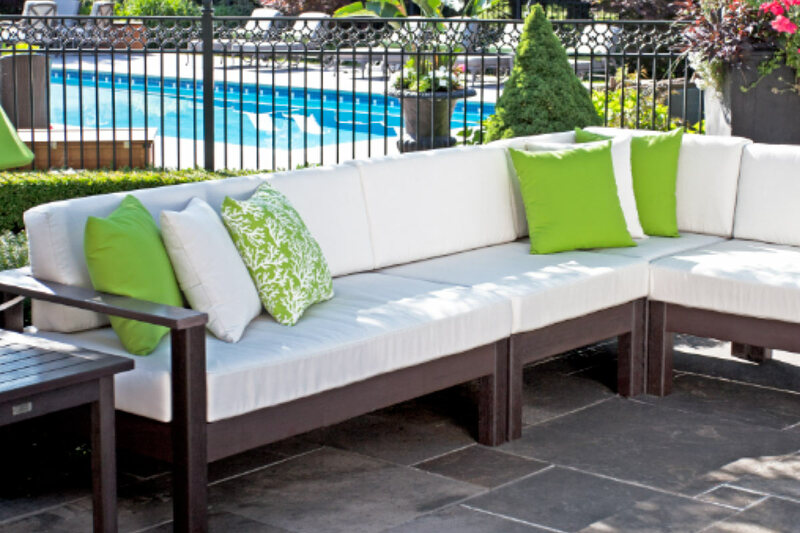 We use only the most recognized and trusted outdoor fabric for our cushion covers – Sunbrella™; known for its stain and water resistance. 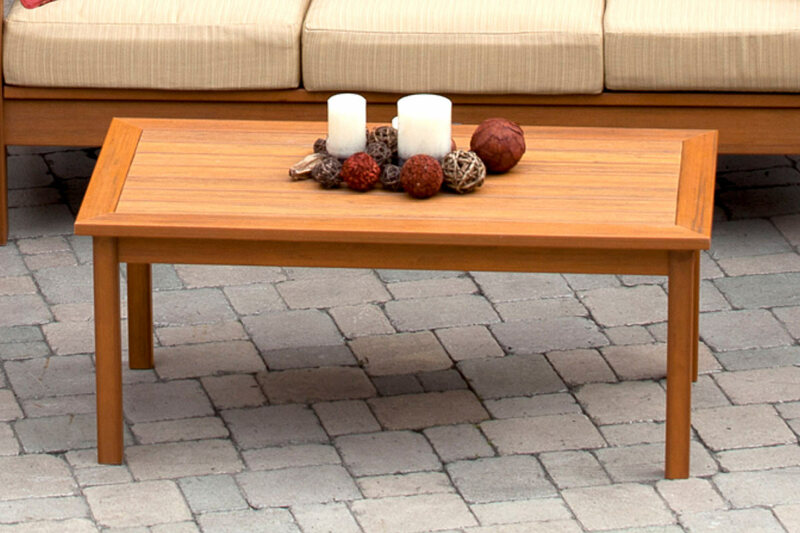 Four distinct pieces make up the Catalina collection; Love seat, Corner Chair & Armless Chair available in Espresso. 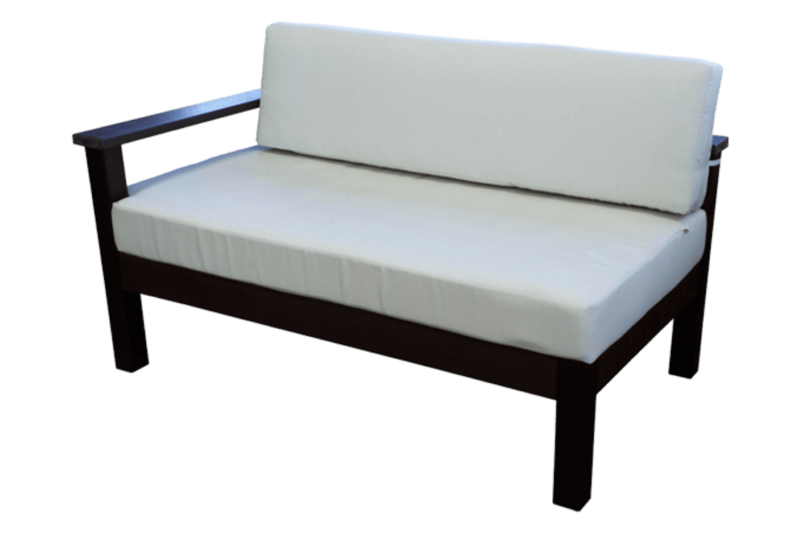 The modular design allows you to create any number of desired combinations. 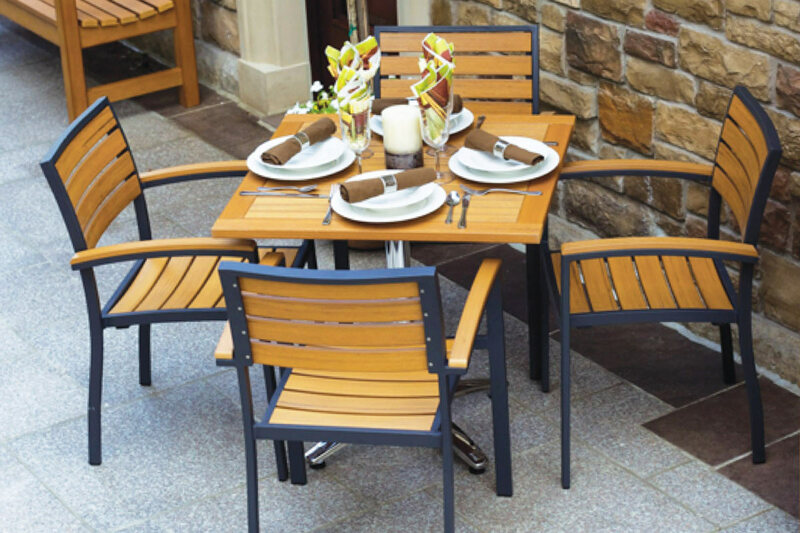 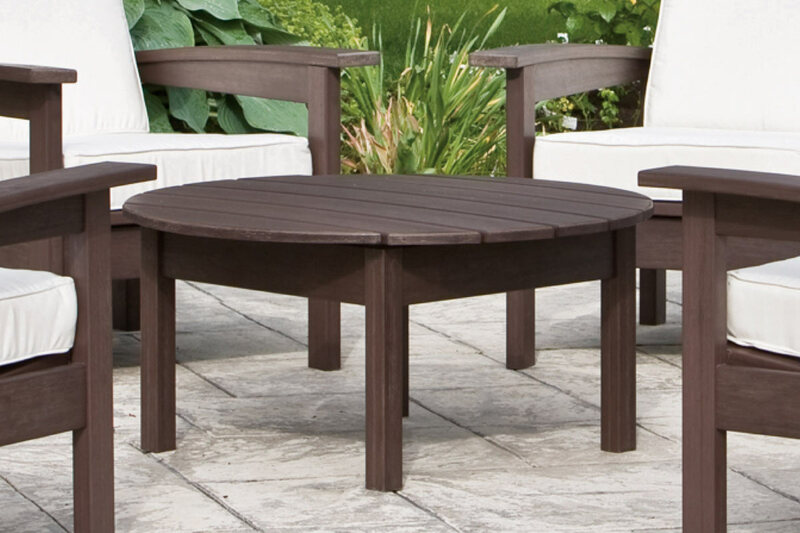 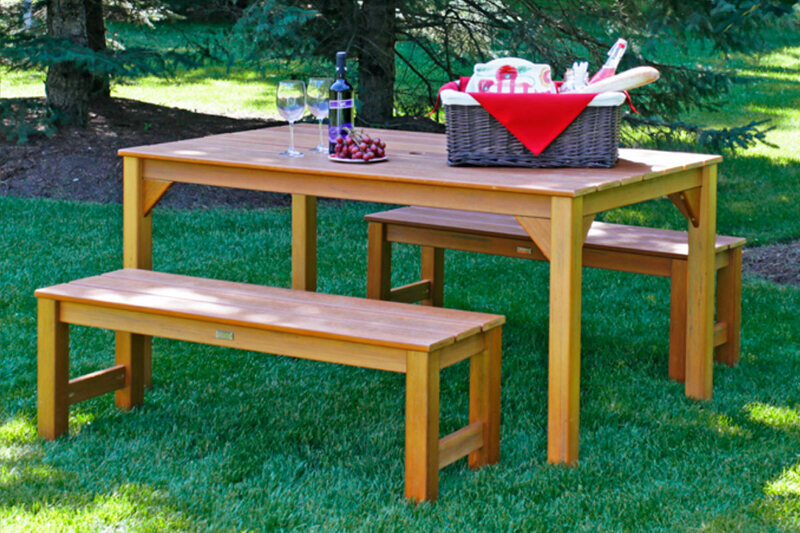 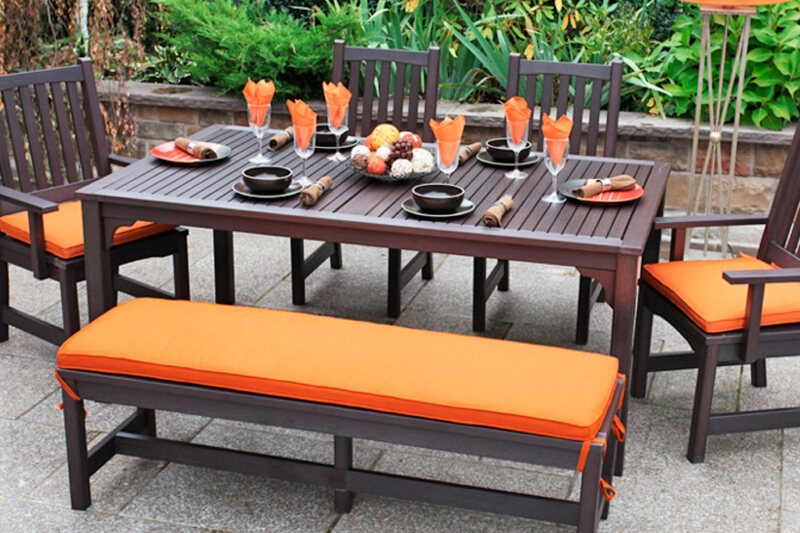 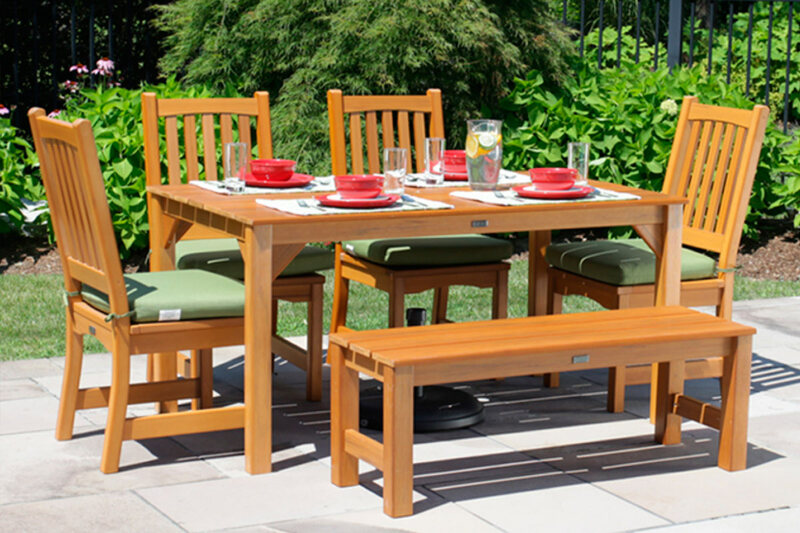 Our dining sets are a must-have essential for outdoor living. 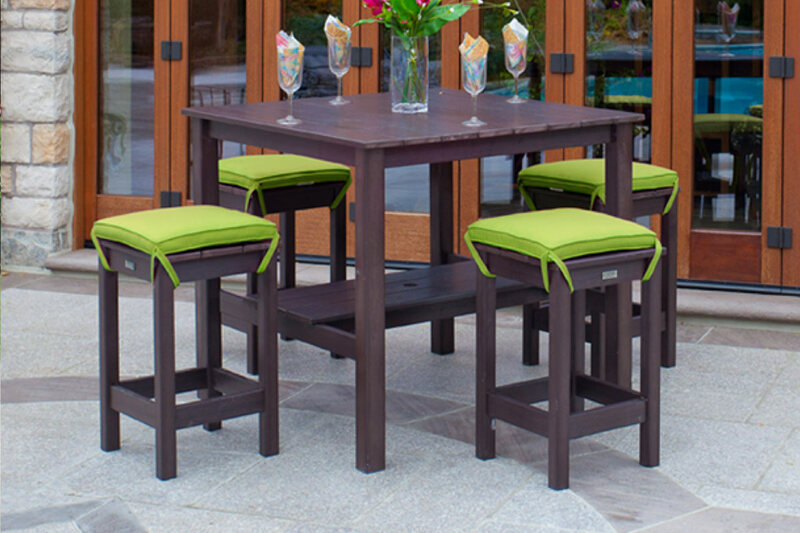 Not only is it a place for dining, but a place for gathering and entertaining. 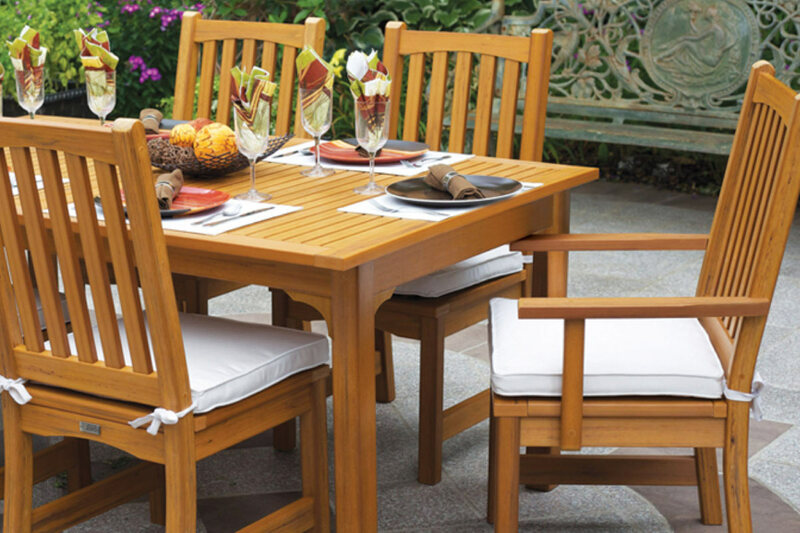 Our dining sets are beautiful, comfortable and functional. 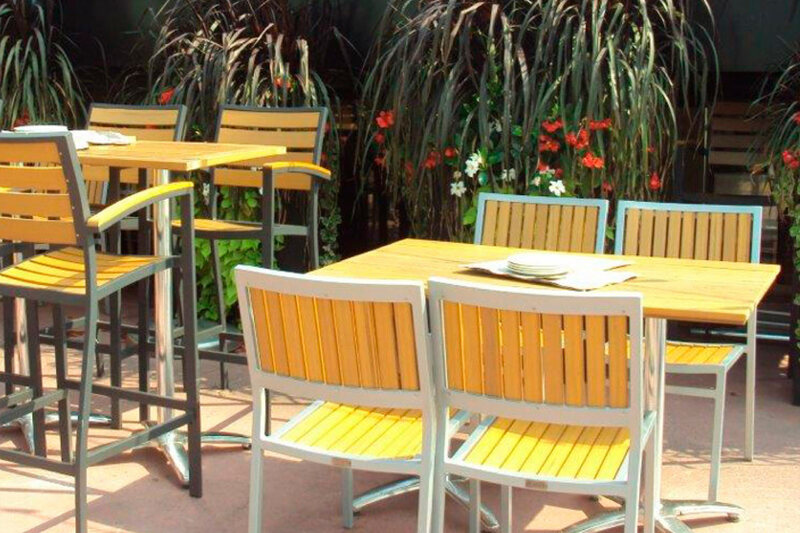 Designed specifically for the outdoor hospitality and contract markets. 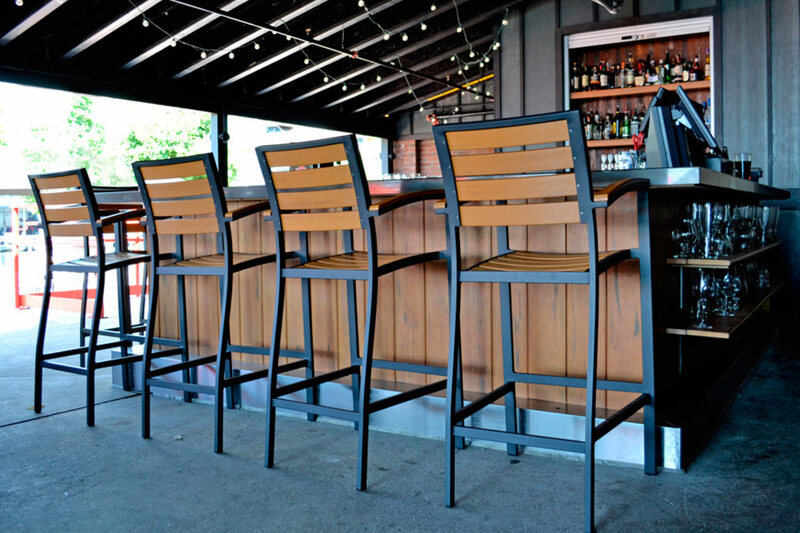 We use only commercial grade stainless steel hardware on all our Aura™ furniture to ensure the strength and longevity of our products. 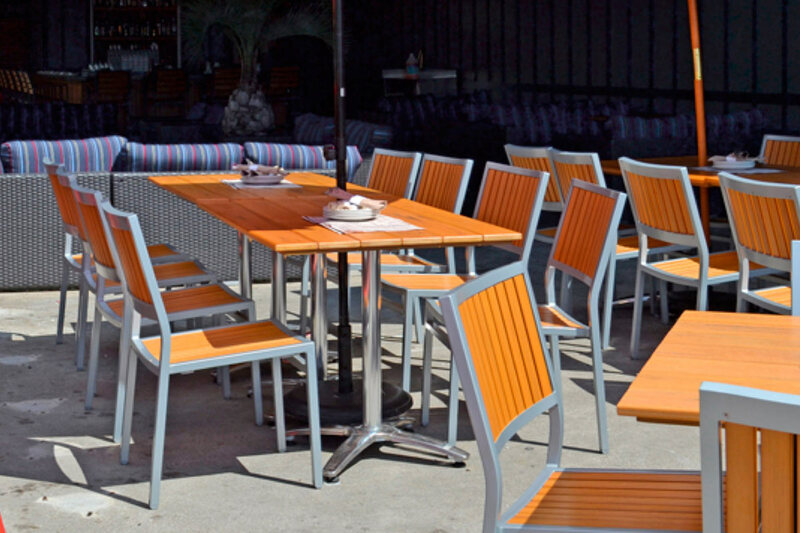 Aluminum chair frames and table bases are manufactured to the highest standards. 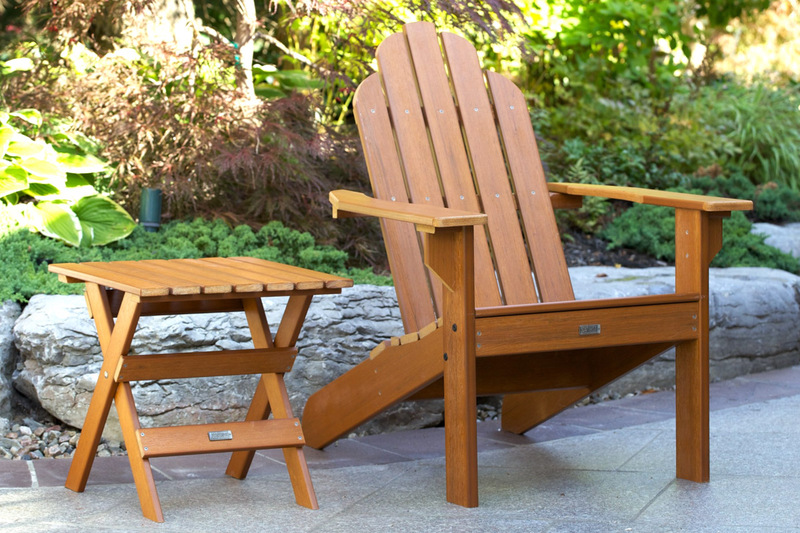 Aura™ products are proudly made in North America.